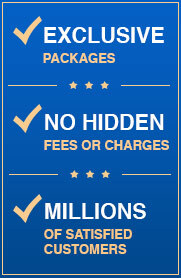 Ready to make Macy's a part of your travels? Macy's Center City is not just a fashion destination, but a true slice of retailing history, with the launch of the new Macy's Center City Historic Tour! A definite must-do destination for historians and shopping enthusiasts alike. The building is of Italian Renaissance design, built around a "Great Court"
Most travelers have shopping on their itinerary, but when traveling to one of America's first cities, Philadelphia, travelers can now get the opportunity to fuse fashion with history. 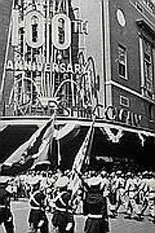 Founded in 1866, John Wanamaker pioneered the department store concept in Philadelphia, and in 1911 opened the first of its kind. With over 141,000 square feet of the latest trends and nearly 100 years of retailing history, Macy's Center City, located in the famed Wanamaker building, is a must-do destination for historians and shopping enthusiasts alike. In 1909, Wanamaker purchased what was then known as the St. Louis World's Fair Pipe Organ. Several years later, it was installed in the Grand Court and dedicated by President Taft. Recently restored and with nearly 28,500 pipes in total, the Grand Organ is the largest playable instrument in the world. 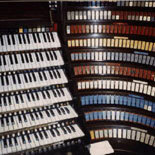 A National Historic Landmark since 1980, the six manuals and plethora of pipes allow the Organ to encompass the capabilities of three symphony orchestras. Concerts are preformed daily, except Sundays. Another point of interest from the St. Louis World's Fair is the bronze Wanamaker Eagle, hand-made in Frankfurt, Germany, weighing 2500 lbs and sitting on a granite base in the Grand Court. This famous feature began a long-beloved Philadelphia tradition of rendezvousing in Center City with the saying, "Meet me at the Eagle". During the holidays, the store is home to the now famous light show and Dickens Village. Ready to make Macy's a part of your travels? With these traditions and many more, Macy's Center City Historic Store Tour is a wonderful highlight to your Philadelphia vacation. Buy your eTicket today and prepare for a day of shopping and history you won't forget! Famous Organ located in "Wanamaker Building"
Tours available Monday through Friday. Store Shopping Hours: Mon - Sat 10:00 am - 8:00 pm, Sun 11:00 am - 7:00 pm (Hours subject to change without notice). 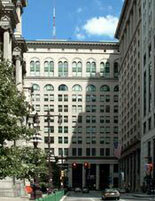 Macy's Center City - 1300 Market Street Philadelphia, PA 19107. Visitor Center is located on the Main Level in between Men's and the Grand Court . 13th St. and Market St. Please call to confirm a scheduled tour time. E-Ticket will have details. 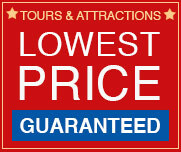 Tour guests will receive an 10% off coupon with each ticket purchase.